The number of stolen cars reported in Anchorage rose sharply during the first six months of 2017 after a spike last year — and police say they don't know why. Most of the vehicles are found within a few days and appear to be the taxi of choice between drug deals or other criminal mischief, police said. Nearly 300 vehicles were stolen in each of the months of January, February and March, and roughly 200 each in April, May and June. So far, it's about double the city's five-year average for car theft, Anchorage Police Department officials say. Many of the thefts involve the car's owner leaving keys in the ignition and the engine running. Police say it's a "crime of opportunity." But APD can't explain exactly why more people are suddenly taking the opportunity, or why it's happening more often than in the past. During a Wednesday meeting of the Anchorage Assembly's public safety committee, member Eric Croft pressed Police Chief Justin Doll on what could be driving the car thefts, along with other property crimes such as break-ins. Croft asked whether the rise in property crimes could correlate to the current increase in opiate use and drug addiction. Doll, who became chief in early July, said no one knows for sure. Historically, addiction and property crimes have been linked, with drug users looking for money and goods to trade for their next fix, Doll said. "We've explored that theory. I don't think we have an answer yet, or data that can link the two together," Doll said. One problem is that police actually make few arrests associated with car thefts, so there's little opportunity to interview suspects, said Capt. Sean Case, who gave a crime presentation at the Assembly committee meeting. He said stolen cars are often found abandoned on the street and are never linked to a specific criminal. He said on average, police recover a car nine days after it's stolen. Nearly all are recovered within 90 days. "We're seeing these cars get turned over at a very rapid rate right now," Case said. "More so than in the past." Owners of recovered cars report an average of $193 in damage, though some cars are totaled and unrecognizable. Getting a car back to the original owner also doesn't mean it isn't a "gross inconvenience" for small business owners or people trying to get to work, Case said. In a 2016 case involving a suspected vehicle-theft ring, police observed that cars were being stolen from homes, used for a short period of time for another theft or burglary, and then parked in a parking lot where another stolen vehicle was waiting, Case said. The criminals, he added, don't appear to be making money from the cars, unlike the "chop shops" that have cropped up in the Lower 48, where stolen cars are taken apart and sold for parts. Case was careful about drawing a direct connection to the Legislature's Senate Bill 91, the contentious criminal justice reform law passed in 2016. He said an unrelated change in the state's bail schedule last year is causing clearer problems for police. Police now largely can't detain a person who is suspected of being on drugs or alcohol for a "cooling-off period," which could be tied to more criminal activity, he said. In early 2016, police began reporting a noticeable spike in car thefts. That spring, a few big arrests were made in what police described as a ring of car thieves. Several of those cases concluded last week, when a judge sentenced four Anchorage men to years in prison in connection with the theft of six cars, break-ins at 12 businesses and the theft of thousands of dollars in property. One man, David Fatialofa, got 10 years in prison. A recent spate of crimes involving weapons in Anchorage have apparently involved stolen cars. On Wednesday, airport police opened fire on a driver who they said tried to run them over. The man was driving a truck with license plates that didn't match the vehicle. 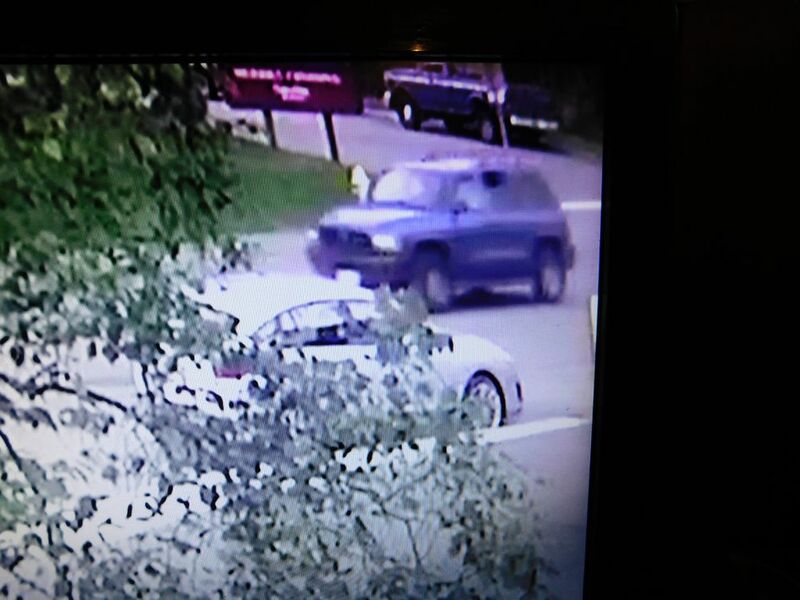 On Monday in Fairview, police said a stolen Dodge Durango pulled up alongside a parked station wagon and one of its occupants started shooting, shattering the station wagon's windows. The Durango was found Tuesday and returned to its owners. Then last week, a stolen car was set on fire and riddled with bullet holes outside a Mountain View elementary school. Doll said police are examining the trends in stolen cars and talking to federal authorities. He said his department may evaluate the way officers pursue cars that are suspected to be stolen. Doll also noted that the department has brought back police foot patrols in higher-crime neighborhoods, like Mountain View, downtown and Spenard, in hopes of controlling street-level drug crime that may be contributing to car thefts.